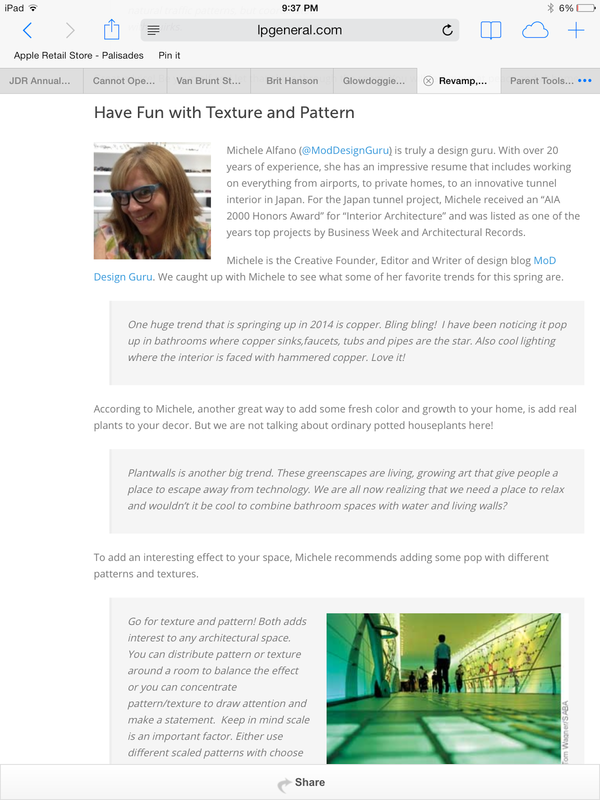 Spring has finally sprung and I was honored to be asked my opinion among award winning designers by LP General Contracting, Northern California's expert for new construction and restoration on what are some catchy Spring 2014 trends to warm up and make your space unique! I humbly say thank you LP General Contracting for the incredible feature!! Read the article to get some great tips from designers Kerrie Kelly on how to mix old with new, Landfair Furniture's belief on how a room should reflect who you are and my own tips on how to have fun with Texture and Pattern!